Samford University will host an informal gathering for alumni and other friends during the Alabama State Baptist Convention annual meeting. The reception will precede the convention’s evening session on Tuesday, Nov. 11, at Lakeside Baptist Church in Birmingham. University administrators will be present to greet guests and heavy hors d’oeuvres will be served, according to Kevin Blackwell, Samford’s assistant to the president for church relations. No advance reservations are needed for the reception. Among the Samford administrators expected to attend are Samford President Andrew Westmoreland, Beeson Divinity School Dean Timothy George, Vice President for Advancement W. Randy Pittman, religion department chair Kenneth Roxburgh and divinity faculty member Robert Smith, Blackwell said. Samford will be featured prominently throughout the convention. Smith will deliver the convention’s annual sermon during the Tuesday evening session. Westmoreland will present the Samford segment of the higher education report during the Tuesday morning session. Blackwell is president of the pastors conference this year and will preside at that meeting on Monday, Nov. 10, where Samford’s A Cappella Choir will sing and Westmoreland will speak. 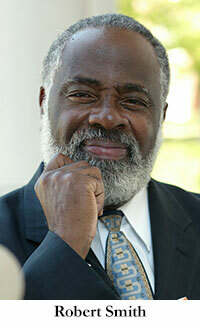 Willy Rice, a 1985 Samford alumnus from Clearwater, Florida, is one of several preachers during the pastors conference.